How long do you think the courtship dance between two seahorses can take? Which fish is thought to be responsible for the tales of giant sea serpents? How long is a large shark's gestation period? And when is a beaver a fish? 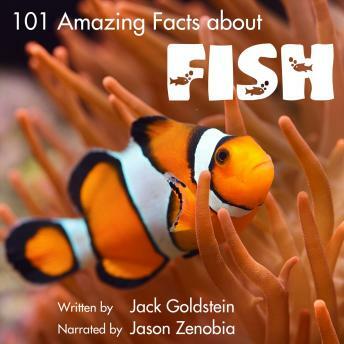 In this fascinating edition of the 101 Amazing Facts series, narrator Jason Zenobia talks us through over one hundred amazing facts about fish... so, if you're ready to find out which fish the Romans used as a recreational drug, and in which American states it is illegal to get a fish drunk, this is the perfect audiobook for you!